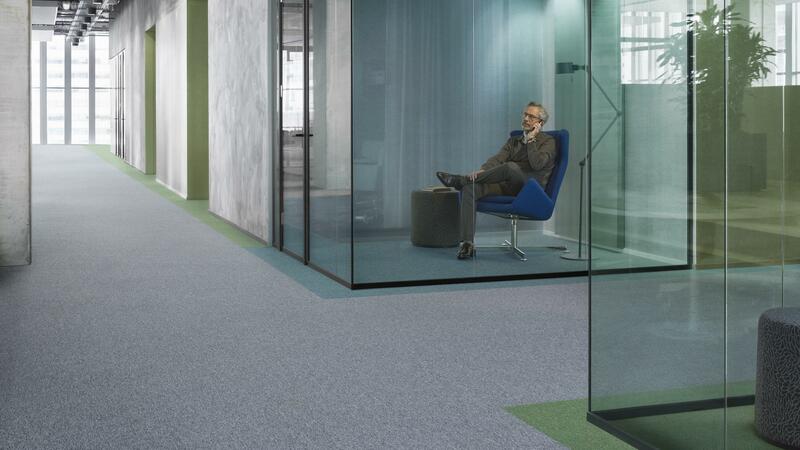 DESSO Essence carpet tile collection: Mix and match it your way. Created with versatility in mind, the hard-wearing and highly functional DESSO Essence acts as the building block in a portfolio of four carpet collections designed to fit seamlessly together. The plain loop DESSO Essence tile comes in 31 strong refreshing colours, all of which are integrated throughout the DESSO Essence Maze, DESSO Essence Structure and DESSO Essence Stripe ranges. This means specifiers can more effectively combine complementary warm and cool neutrals, inject bold accent shades - featuring everything from teal through to burgundy - as well as exploring interesting interjections of pattern from across this true family of products. As the building block of the range, DESSO Essence is a strikingly simple flooring solution - offering affordable excellence and endless creative scope for commercial interiors.